The Transformers franchise in any form has never really held any kind of appeal for me. When I was little, I preferred soft toys of cute animals or video games, not cars or robots that weren’t even remote control (lame). As I got older and the films started to come at me thick and fast, I managed to dodge them for the most part, reading the odd negative review but not indulging in giving Michael Bay the money to see them in theatres. The lunatic finally got me in a cinema seat with Bumblebee though, and thankfully, I wasn’t at all disappointed. 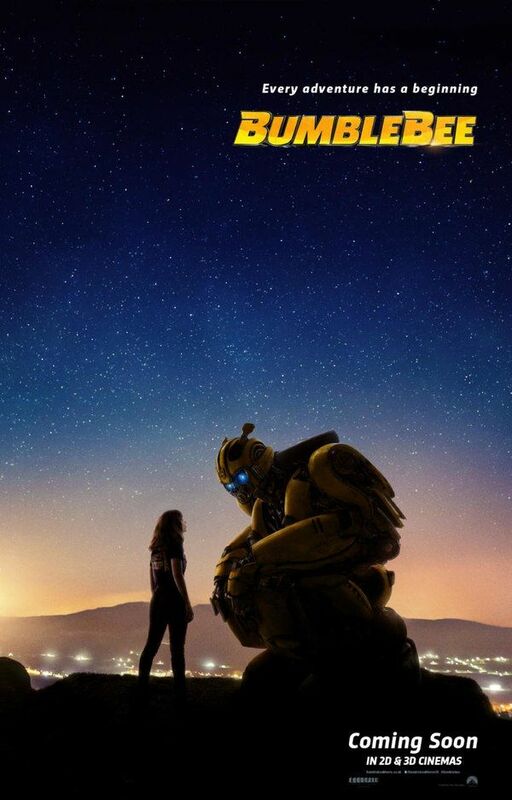 Through an admittedly very conventional girl-and-her-giant-robot tale, Bumblebee shows the Earthly origins of the titular transformer, from how he lost his voice to how he regained it. Parallel to this is the story of Charlie Watson, a misanthropic teenager whose father has recently passed away, as she struggles through the awkwardness of 1980s teen life. Though the team up of the Decepticons and the US government serves as the main antagonist here, allowing for some pretty decent CGI action sequences, it’s the core relationship between Charlie and Bumblebee that elevates this movie above the rest. Buried in plot contrivances and deadly serious battles lie some sweet and silly moments shared by the characters that I walked out of the film thinking about more than any other more exciting element in it. This is helped significantly by Bumblebee’s redesign, who no longer resembles a confusing mass of wires and pipes, but instead a wide-eyed puppy trying to figure out the world with his best friend. The animators for the character did a fantastic job making what is essentially a sentient car as sympathetic as possible, and by the time he has to leave, you feel some legitimate heartache. Hailee Steinfeld also gives a wonderful performance here, taking a character that could have simply come off as moody and transforming her (disregard that pun) into a believable teenager. Even John Cena does a decent job, getting the biggest laugh from me by questioning aloud whether they should trust a group of aliens literally called ‘Decepticons’. As for those aforementioned plot contrivances, they mostly come in the form of convenient escapes and dropped plot threads. For instance, Charlie used to be a fantastic high diver until her father died – this plot element is shoved in extremely clumsily at the climax of the film in a way that was almost hilariously bad. There are also some problems with story elements being brought up and never seen again; at the start we meet some typical mean girl bullies (who could have been written more interestingly), and by the end of the film that issue has hardly been addressed, let alone resolved. But of course, these are fairly minor complaints compared to the major, glaring, offensive issues of every other film in Michael Bay’s Transformers franchise. It comes in at under two hours, it keeps you entertained from start to finish, and you honestly do care about the characters onscreen – really, what more can you ask for?